To Ella, our wonderful girl, today you are 6! Six years since I missed my own baby shower because you decided to show up three weeks early. Six years since our journey into the unexpected started. Six years of being a mummy - your mummy. A lot has happened in the six years you've been here and it's hard to remember what life was like before you. We've certainly been on a roller coaster ride but you've managed to keep our hands skimming the clouds for most of our time together. This past year, you've changed and grown so much. You're settled and happy at school, you love your teacher and being with your friends. Your understanding of the world has developed and you are now able to tell me so much about what you want, what you like and don't like, what you've done at school. The improvement in your speech has also enhanced your cheeky side and your sense of humour is really beginning to flourish. This week you've mainly been telling me that you're excited for your birthday and your party (I am too! ), the first year you've been able to tell me so. A few weeks ago you reduced me to tears in the bustling playground as I sent you off into school with my usual kiss and 'Love you'. You turned back to me and for the first time ever, said 'love you mummy' - still enjoying firsts 6 years into our adventures together. You love your little sister, Lucy. I love watching your relationship grow and feel pride (and some trepidation for your teenage years!) at the independent, determined and confident little girls I am lucky enough to call mine. Over the last year, you've lost four teeth, grown about a foot taller and over the summer you mastered a major milestone and became dry day and night - no more pull-ups! Big changes that signify how you're growing up way too quickly. 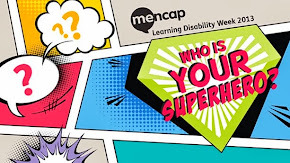 Out of school, you've started Rainbows (who have promoted your inclusion and independence) as well as cooking class (learning listening and life skills) and swimming lessons (still some way to go but you love being in the water and you try very hard). You still love bouncing on your trampoline, anything involving a glue stick or a felt tip and your pictures and writing have come on so much. I'm still getting used to the double drop off and pick ups on the school run, with Ella and Lucy being at different places for this school year. Wednesday to Friday, Lucy is in pre-school which means I drop off and pick up Ella first and then make the 5 minute car journey to Lucy's nursery to drop her off or pick her up. The mornings are generally fine, as Ella has to be in school for 8.55am at the latest and then Lucy's drop off is 9-9.15am which gives me plenty of time to drop them both off without rushing or worrying either will be late. Pick-ups are a little different as Ella finishes at 3.15pm and then I have to get to Lucy's nursery by 3,30pm. This is doable as I park close to the school gates and the nursery is only a short drive, but it does rely on Ella coming out of school promptly and being one of the first to leave the classroom (then not making any of her famous detours before we reach the car). Her classroom door opens straight onto the playground which does speed the process up a lot. I've also found that leaving her after school snack in the car means she has an incentive to get there quicker too! Says it all really. She received the certificate for 'fantastic number work' (tracing numbers and linking number to quantity when I asked her teacher for specifics!) which is lovely because unlike her phonics/letters and writing she struggles with numbers and maths (just like her mum). Maths is a much more abstract concept for a visual learner than reading and writing is which makes it a harder skill to master. She's definitely a lot less confident with her numbers - she can count to ten on a good day but is very inconsistent, can miss numbers out or get them the wrong way round. She can also count 'how many', but often has trouble recognising her numbers and we are still a long way off doing sums. But, she is working hard even though she doesn't find it easy which is all we can ask for. We have her EHCP review this week and maths will be one of the many aspects of school life to discuss. We will be setting targets for Ella to achieve throughout this school year and how she can meet those targets. I am no expert and realise that every child is different and what works for Ella may not work for others but wanted to share some of the things that we have been using to help her improve her maths skills and understanding at home. 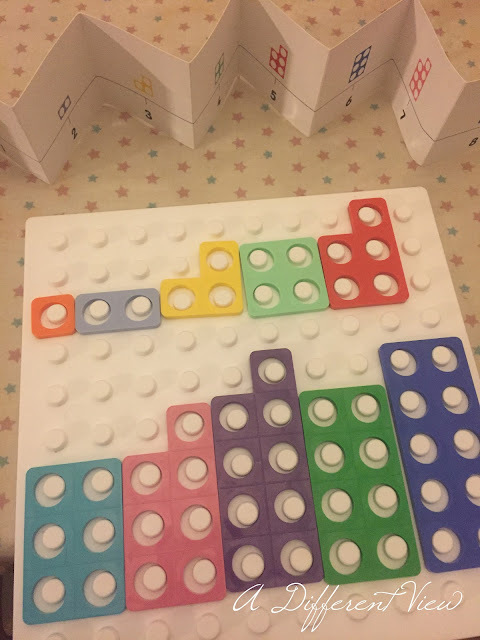 We bought our own Numicon set when Ella started using it at pre-school. It's a brilliant visual and physical way for teaching children with DS to count using shapes, patterns, colours and they can count using the coloured pegs or by counting the holes in each shape. The number shapes also fit together so adding numbers produces a shape or pattern - for example instead of imagining what 4+3 equals, the sums can physically be done by the child using the number 3 shape and the number 4 shape. This multi-sensory approach really consolidates the learning taking place and is also allowing a learn by doing approach too. We've just started using mathletics now she is in year 1. Mathletics is an interactive virtual learning platform that links in with the taught curriculum. The tasks/activities Ella needs to do are set by school and we log on to her specific learning profile to work through them. 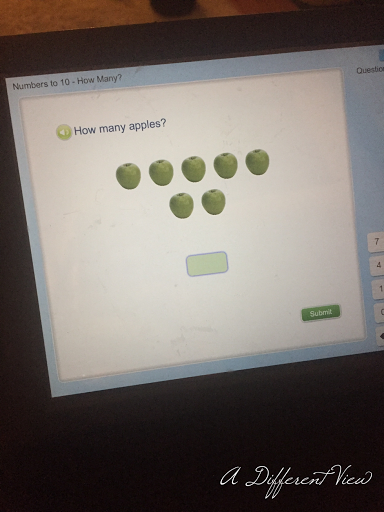 This again is a very visual approach to number work and as we access it via an app on the Ipad, it becomes more of a game than a school related activity and is therefore more appealing to Ella. Around the house and when out and about we do lots of counting. I try and bring it into everything - playing games, reading books 'how many ducks on the pond in this picture' or at the supermarket - 'can you put six carrots in the bag please Ella'. I'm also pointing out lots of numbers on signs/buses/registration plates to get her practising recognising her numbers. 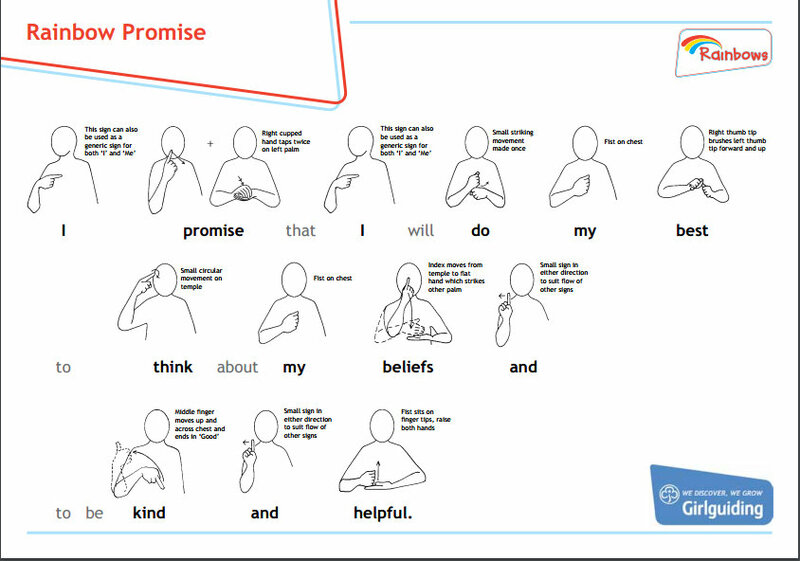 As with all aspects of Ella's learning she needs lots and lots of repetition to consolidate new information and skills. I know she will get there and it doesn't matter when, we will just keep on going until she does. 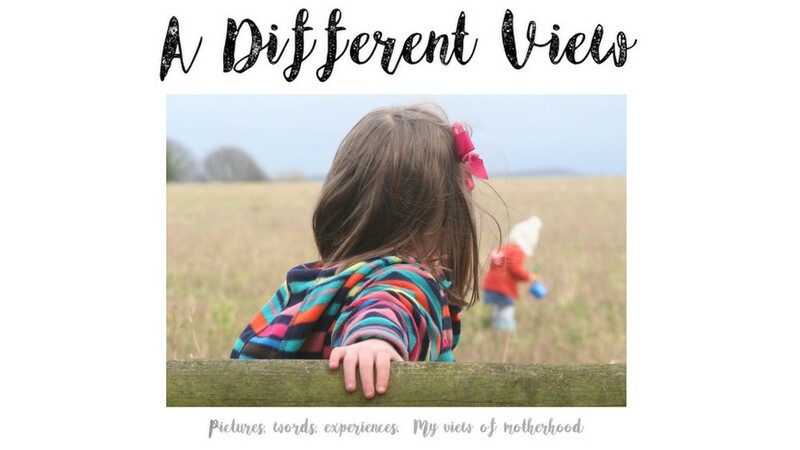 I will write more about 'A World Without Down's/NIPT soon - need some time to gather my thoughts first (and I've got a poorly Ella to look after at the moment!). 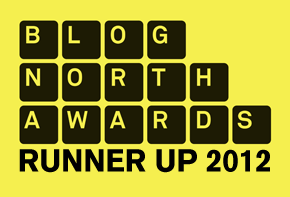 The following post is cobbled together from my Facebook posts over the last few days... Alternatively you could read 'Losing Down's Syndrome?' - a post I wrote earlier in the year. Many of you may have noticed that Down’s Syndrome is big news at the moment. Something that I'm sure you know is important to me. 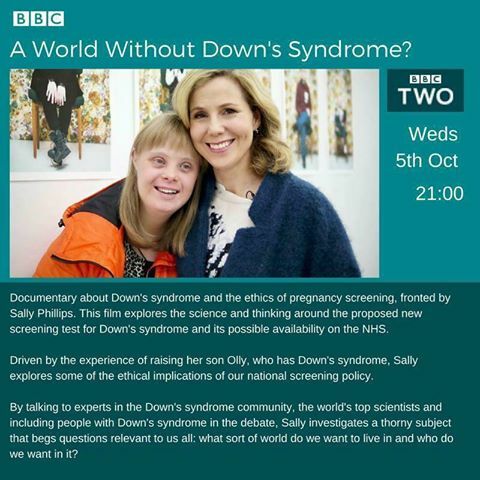 This is the week that Sally Philips’ important documentary is due to air. She will explore the ethical issues and questions arising from the proposed roll out of the new NIPT screening test for Down's syndrome. Can you imagine a world without people like Ella? 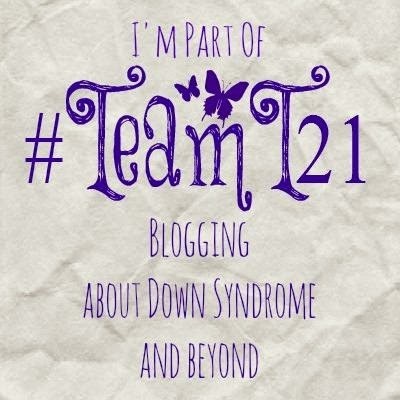 I am aware that I share a lot of articles, pictures, blog posts and other information relating to DS on my timeline. I am not apologising for this, Down’s Syndrome is a big part of our lives and I am very committed to educating others (maybe you) and busting some of those long standing, ingrained cultural myths about the condition. Mainly, I want to get across that having DS is not to suffer, is not debilitating and does not cause distress or trauma to those living with it, (unlike the media would have you believe). I am not against testing or screening in pregnancy. Nor am I against the new NIPT screening that offers women the chance to find out earlier in their preganancy, with greater accuracy and in a safer, less invasive way whether her unborn child has a chance of having a chromosomal abnormality – such as Down’s Syndrome. I do believe women should have choice – in this case, to terminate or not to terminate as difficult a concept as that may be to me. What I am striving for, along with many others is for parents to be given balanced, factual, unbiased information relating to a positive diagnosis of Down’s Syndrome along with unbiased language (no ‘I’m sorry' and using ‘chance’ instead of ‘risk’) and access to support following a diagnosis – whether that is given pre or post-natally. This is happening far too infrequently at the moment. I’m encouraging everyone to try and watch the documentary and to think about the issues that Sally puts across. 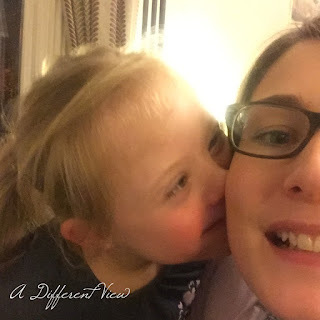 For she speaks for the vast majority of us within the Down's Syndrome community. I'm still struggling with getting back into the school routine. Mornings particularly are a hectic and stressful time of day for me - as they probably are in most houses where school age children live. Ian leaves for work at 7am so most days I am left to get everyone else fed, dressed, organised and out the door for school at 8.30am. The clock seems to go at superspeed during that hour and a half in the morning. A few minutes later as the three of us bundled out of the front door, I heard a 'mummy look, its the milk.' from Ella. As I turned from shutting the front door - there she was clutching the mornings milk delivery from the step (2 pints of semi-skimmed in case you were wondering). So, I fumbled about to find my house key, re-opened the door and told Ella to take the milk and put it on the side in the kitchen. I then got Lucy into the car and belted up while Ella disappeared, all the while wondering where the milk would actually be left and where I would find it when I got home. Ella soon returned, got in the car and off to school we went. And I completely forgot all about the milk. 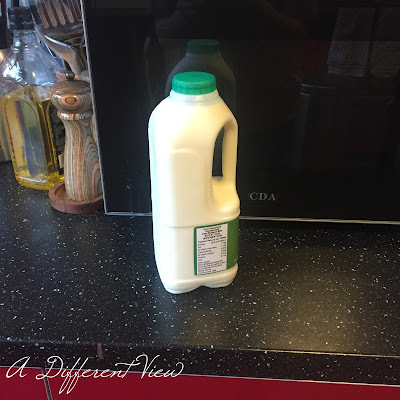 Sorry, to those of you expecting a more amusing or dramatic end to this tale but the vision of finding the milk sat on the side in the kitchen has kept me smiling all day. Just a simple example of not only following a two word level instruction (which Ella is fairly good at now) but most importantly, not getting distracted while doing it. 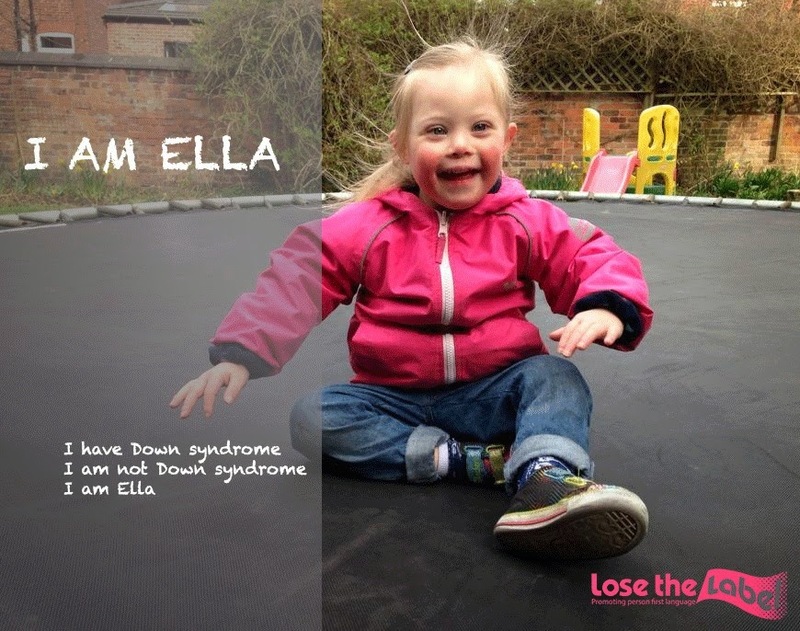 When Ella was a baby, one of many things we were told (that subsequently turned out not to be the case), was that as she had Down's Syndrome she would teeth later than other babies and when they did start appearing, they would take longer and come through in the wrong order. I didn't get any teeth until I was 15 months so had visions of Ella being toothless well into toddler-hood. In reality, she cut her first tooth at about 6.5 months old and then continued to get all her teeth by the age of about 2.5/3years old. We were also told that she may be late to lose her baby teeth and that her adult teeth may take more time to appear. Just after her 5th birthday last year, we noticed that her two front bottom adult teeth had cut through the gum and were sat neatly behind her baby teeth (which were wobbly). After a quick call to the dentist, I was assured that this was all very common and that we could wait until the following week when our regular check-ups were due anyway. At the check-up, the dentist reassured us that as the baby teeth fell out, the new adult teeth would work their way forward into the space they left behind. We just had to keep wobbling the baby teeth to encourage them on their way (definitely a 'blue job' in our house - I can't stomach wobbly teeth!). It took another couple of weeks but finally, her first tooth fell out followed a week or so later by the second one. And then, there was of course the excitement of the Tooth Fairy visiting. After watching the episode of Peppa Pig where the Tooth Fairy comes, Ella had really got on board with it... So much so, that we went through a period of time where if something was lost and you couldn't find it (car keys, daddy's ID badge for work and various teddies, books, jigsaw pieces and a spoon) then it was most probably stashed safely away under Ella's pillow with the expectation that the Tooth Fairy would visit. 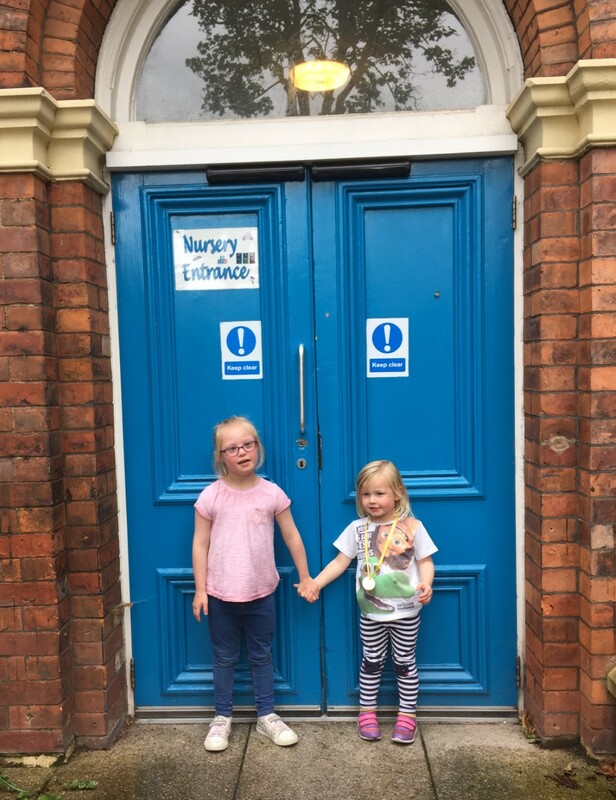 She did pay Ella a visit leaving her a shiny pound coin, which Ella bought herself a chocolate babyccino with on our next visit to the coffee shop (lesson in asking for things and giving money over in shops thrown in there too #lifeskills!). There was more Tooth Fairy excitement last week when the first of her top front teeth came out. Luckily for me it came out at school, although she couldn't tell them where it came out which sparked a major 'tooth hunt' around the playground and classroom. Tooth was eventually found and she came out of school clutching it proudly, asking for a shiny coin. Now she looks all gappy and even more grown up than she did already - I'm just hoping the new teeth are as straight as her baby teeth were, although with my wonky teeth and history of over crowding, I'm crossing my fingers! Potty training is a rite of passage and a skill that most children conquer between the ages of 2 and 4 years of age. And, just like every other life skill children have to master, some get the hang of the potty straight away and for others, like us (and for lots of different reasons) it takes a little more time, perseverance, patience and understanding (and a lot more floor cleaning, wet washing and 'never mind' moments!). Our potty training journey began around 2.5 years ago when Ella was around 3. With Lucy arriving a few months before and life beginning to settle down again, we decided to give it a try. Having never potty trained a child before, the task of potty training a child with additional needs suddenly seemed very daunting to me. I had no idea where to start but decided giving her some no nappy time to see how she did and to introduce the potty were both good places to start. Things didn't go well, Ella didn't 'get it' and I decided to wait a while before having another go. I was a little disappointed but knew that there was no point continuing if she wasn't ready. We kept the potty around and I would sit her on it at bath time. We had a couple of fluke wee's on the potty (cue lots of praise, clapping, singing and dancing from us!) but mostly she would sit there for ages then wee as soon as we put her in the bath. I didn't push it any further during this time as knew she wasn't aware enough of her bodily functions and wasn't ready to try again. When she was almost 4, she started pre-school and they were great with her. They took her to the toilet at specific points in the day and when they changed her pull-up. She became much more confident with the toileting process during this time. She was able to put her own pull-up on (high five for independence!) and could follow the toileting trip with independently washing and drying her hands. Looking back, I see I could have been better at following their lead and implementing a better toileting routine at home but for one reason and another, it never happened. By now, Ella was in size 6 pull ups but was rapidly becoming too big for them. I consulted our Health Visitor (HV), wanting some advice on how to approach potty training and also to find out if she could be referred to the local continence team. She gave me a toileting diary to complete and said Ella could only be referred to the continence team based on what the diary showed or when she was 5 (free continence products in our area are only available to children 5 and over - it was 4 and over when we moved to the area but this has since changed to age 5 due to funding cuts). My mum (who is also a HV and has also had 3 children herself) was also a big source of advice and support for me too. It was also becoming more difficult to change Ella out and about. 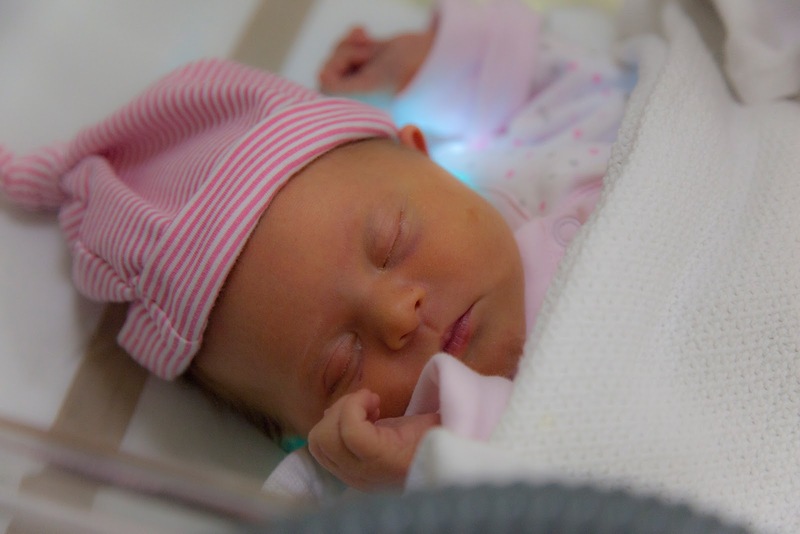 Changing tables in public toilets were now much too small for her and having to take shoes and trousers off to change a pull-up standing on a public toilet floor is neither hygienic or nice. 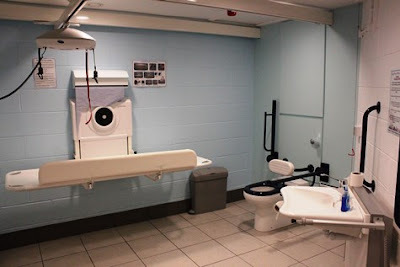 I'm a great fan of the 'changing places' toilets that provide space, bigger areas to change older children and adults and also provide hoist facilities for those that need it. 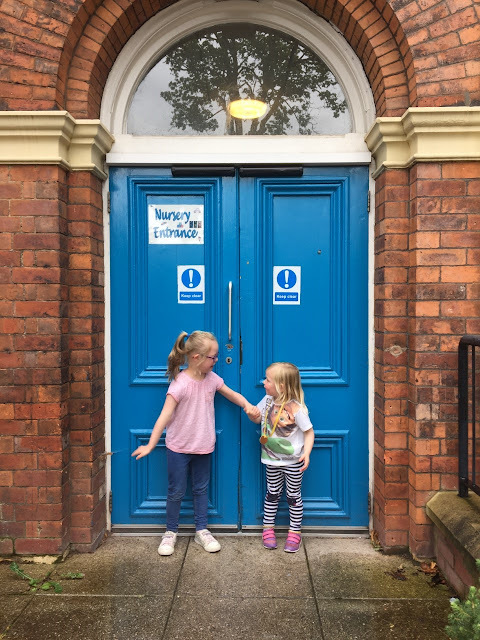 These toilets are becoming more common but are still few and far between - the one I used at children's museum Eureka was fab, clean and had lots of space. I stood Ella on the big changing table to get her changed rather than the floor (which although it looked spotless was still a toilet floor). You can search for your nearest Changing Places toilet here, before you head out and about - I am sure there will be many more of them about in the near future. Such a much needed and cost effective resource that more companies should be providing these facilities for their customers. My biggest issue was the pull-ups - Ella was soon too big for the size 6 supermarket bought products. The only place to find a bigger size was online from a continence product manufacturer. And they weren't cheap - tesco were around £4 for a pack of 34 pull ups and the size 7 packs of 16 pull ups came in at £5.90 each. A big price difference! We had no choice at that point than to buy the size 7 pull-ups as that was all that was available to us. You can see why there is pressure being put upon the major supermarket chains to produce nappies and pull-ups in bigger sizes at a more affordable price point. I was told by the HV that even once referred to our continence team, they only provide nappies and do not provide pull-ups any longer, again due to budget cuts. As Ella had outgrown the nappies, the options that would be available to us as a free product from them would be a size XS adult pull-up (which I could almost squeeze into so way too big for Ella) or net knickers with pads. Whichever product you got free from the service you would only be provided with 4 per day. 4 products a day is not enough when you want your child to be clean and dry (Ella had poor bladder control and was just constantly wet so I could change her 6-7+ times a day depending on how wet she was). We were also battling with constant nappy rash due to her being wet all the time so I had to keep her as dry as possible. Ella was able to put on her own pull-up and that had taken a lot of hard work - input from myself and her teachers at pre-school and also a lot of determination from Ella, who is very fiercely independent. To then be told our option was a pad in a pair of net knickers was just not good enough - there was no way Ella would be able to do that by herself and all that hard work would be undone. 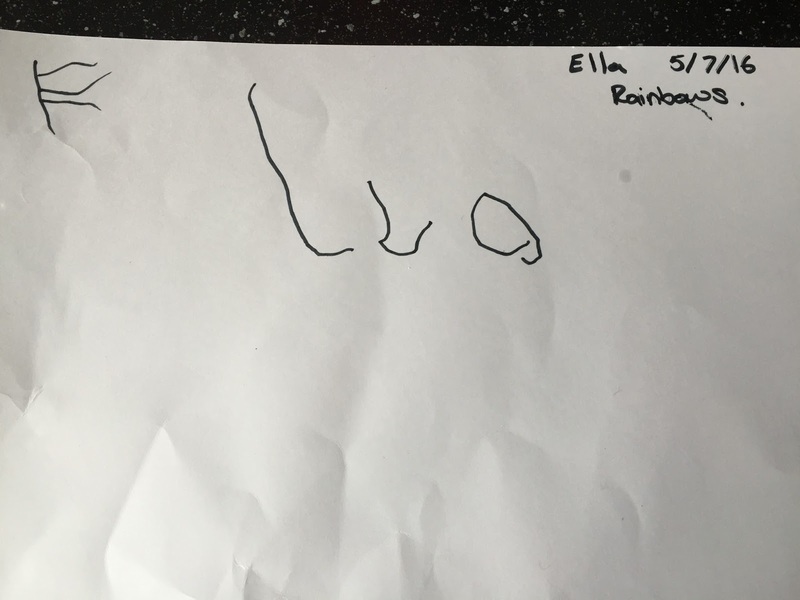 This was something the continence nurse just didn't 'get' when I eventually spoke to her when Ella was referred prior to starting school (and that conversation led me to get so frustrated that I haven't felt able to contact the service since). I'm a nurse and have used net knickers and pads professionally with patients and know that they are not comfortable to wear, they are cumbersome (I wanted Ella to fit in with her peers as much as possible - wearing a pull-up is not ideal but having a bulging gusset just would not do). And in all this, I want to protect and uphold my daughters dignity. There is nothing dignified about net knickers and a pad for an adult let alone for a child and definitely not for long term use. In the end, I felt quite unsupported by our local service and our HV and wondered how on earth I was ever going to get Ella out of pull-ups. My goal of having her potty trained before she started reception didn't happen although we had another try during the summer holidays of 2015. I could see she was beginning to understand what the toilet/potty was for and she was able to tell us when she had done a poo (but not before). All good signs that gave me hope she would one day be nappy free. In February 2016 at half term, Lucy was 2 and 9 months and I decided it was time to try potty training her. And at the same time I thought I could try Ella again - school had been keeping up the toileting process at specific points in the day. She knew the process really well, we just needed to crack the control aspect and waiting until she was on the toilet/potty to do things. Lucy was more than ready and with just two accidents on the first day was dry day and night from then on. Ella still wasn't ready and obviously just didn't have an idea of bladder control although she was much more aware of doing a poo and doing them on the potty. School (who have been amazing and have never put any pressure on myself or Ella for her to be continent) continued their input with taking her at various times during the day and then during the summer term, Ella suddenly started asking to go and became drier for longer. The reports at the end of the day that she had asked to go or had done something when they took her to the toilet were becoming more frequent. And now, at age 5 the size 7 pull-ups were getting too small - our only available option was the size 9 night time pull-up from the online supplier (they don't do a size 8 pull-up product and couldn't tell me why). The size 9's also come in a pack of 4 but are £10 more expensive than the size 7 4-pack. There are also 16 less products per 4 pack (size 9's come in packs of 14 and size 7's packs of 18). The cost of buying them was becoming ridiculous. So, with it being the summer holidays again, I had had it in my head for a while to give things another go. And I don't know what made me choose this particular day but on a Thursday morning I got Ella dressed into knickers and told her 'no more pull-ups'. I didn't know what to expect - to be honest I wasn't expecting to get any further than our previous attempts but knew we had the time to try again. I was also feeling much more confident about the whole situation having now potty trained Lucy, although I know we were lucky with how well she picked it all up. Ella did really well with just a couple of accidents during the first day. I could see she was beginning to understand the sensation of needing to have a wee and was having a fuller bladder as her control was better. There were lots of chocolate buttons to keep things going but they had now turned into a reward rather than a bribe. I was better placed to know the signs of when she needed to go to help her as well. I put her in a pull-up for bedtime but was astonished when she woke up the next morning completely dry and she did a big wee on the toilet (more chocolate buttons and a few happy tears from me). We went to her cooking class the next morning (none of this staying in the house for a week malarkey!) and I did put her in a 'dry like me' pad just in case. She was fine for the whole class but then had an accident at the end. I subsequently found if she was wearing the absorbent pads she would wee instead of using the toilet so I ended up not using them again, although they were great during Lucy's early post potty training days. I just took plenty of spare clothes everywhere with us along with the potty and had plenty of toilet trips when out and about. There were, of course plenty of days where she wasn't as good and we had lots of accidents but on the whole she's got the hang of it all very well this time. She has now been dry day and night for 3 weeks. 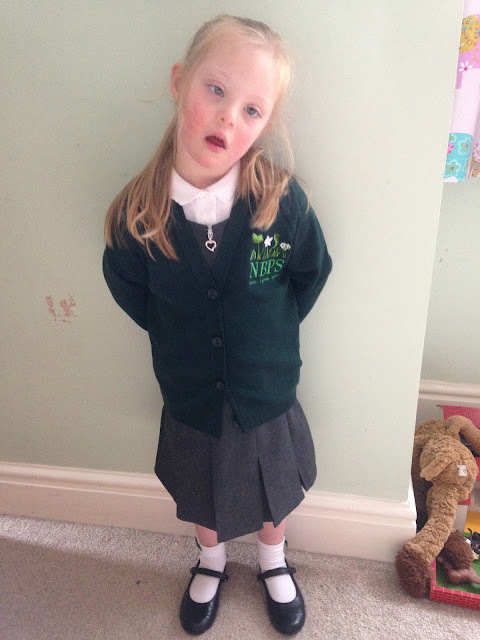 So super proud of her and I am excited that she can go into Year 1 wearing knickers. I'm pleased we didn't rush things and although its taken 2.5 years from starting our potty training journey, she has got there in the end. As she always does. I'll hopefully get around to writing some hints and tips for potty training that have helped us along the way soon. For now, I'm off to iron and label next weeks school uniforms! 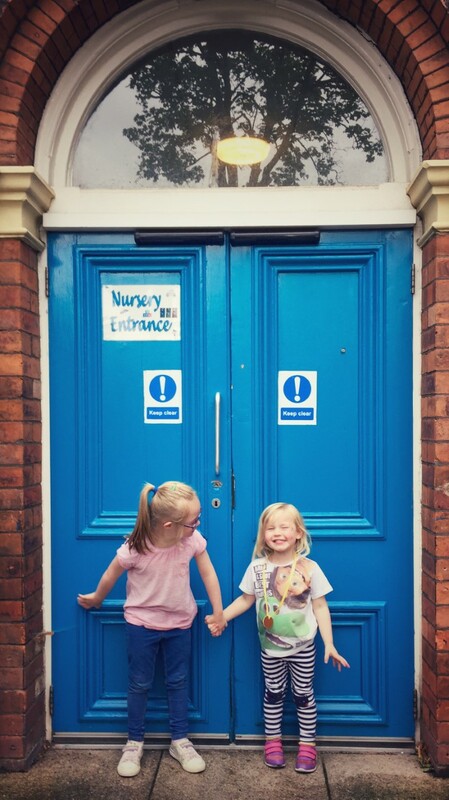 Five years ago, I carried Ella through these doors in her car seat as a little baby, when life was still so full of worry and uncertainty. The staff embraced Ella and all her needs, just as they do every child who comes through those blue doors. 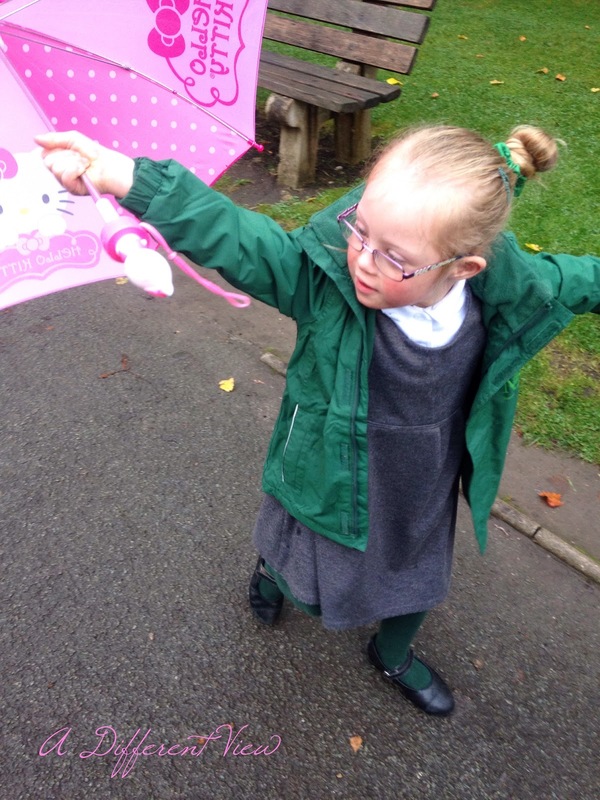 They mastered her feeding tube, went on SEN/Down's Syndrome specific courses and learnt Makaton, which they still use throughout the nursery today (two of the nursery nurses are now Makaton tutors). 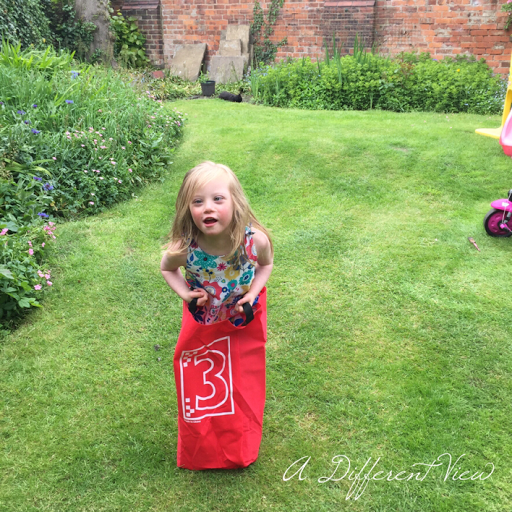 Three years after Ella started at the nursery, Lucy followed in her big sisters footsteps. For a while, it was lovely having them in the same place and being able to drop them off and pick them up together. They were even able to spend some time together during the nursery day, despite being in different rooms. It felt like the end of an era when Ella left to go to pre-school two years ago. However, this week, the blue doors have closed on us for the last time as Lucy has now also left the nursery as she gets ready to start life as a pre-schooler. 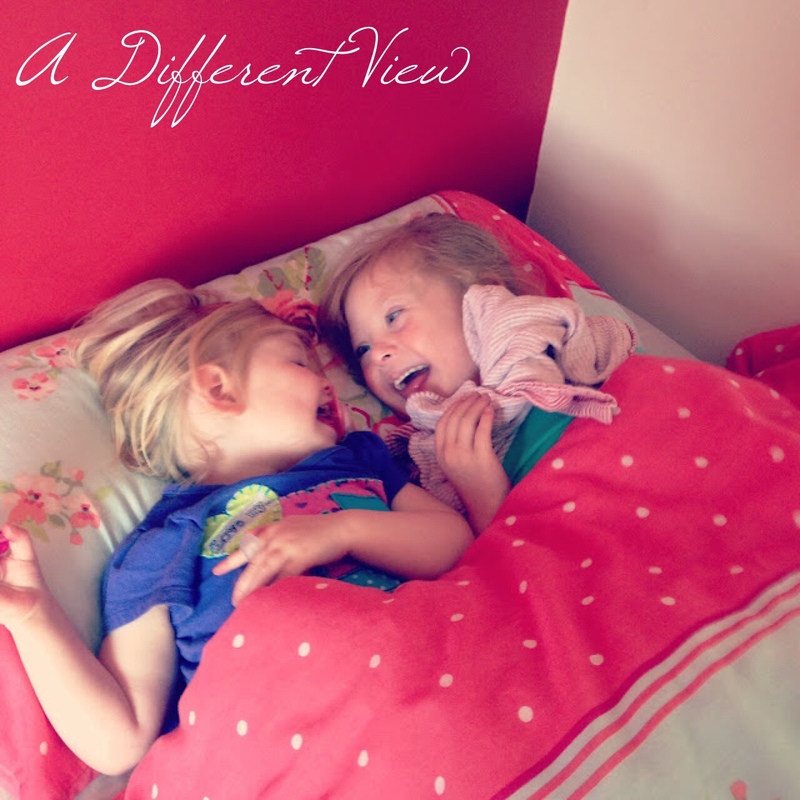 Both our girls have come out of the nursery as confident, bright and happy young girls. Leaving an amazing place where they have both learnt to fly, cared for by an amazing team of staff who we cannot thank enough. Goodbye Christie Nursery. We will miss you. We are almost half way through our summer holiday. We've had some lovely family days out, seen family and friends. There's also been days where we've had nothing planned and just spent some much needed time at home and in the garden. As Lucy's nursery is a day nursery, it doesn't operate with terms or holidays and is open all year round apart from Christmas and New Year. When I gave up work in December, I knew we wouldn't be able to afford to keep her in nursery the three days a week she was attending but I also knew how much she loves it there and how much she gets out of going. She's made some lovely friends and it gives her the chance to spend some time on her own, to learn, socialise and gain some independence. I didn't want to take her away from all that completely. So for the last few months she has been going for just one day a week instead of three. She will sadly be leaving them next week as she is starting pre-school at a more local nursery in September, but more on that soon. On the day Lucy is at nursery during school holidays, it means I get a day a week just with Ella. Quality time with her doesn't happen that often (if at all) now she is at school and with Lucy around too, it's been ages since just the two of us did something together. I started looking for something special for the two of us to do and came across an advert for a summer cooking class. Knowing how much Ella enjoys baking or helping in the kitchen and that she just loves learning by doing and anything creative, I booked her a place. We arrived armed with our apron and tupperware and were greeted by the lovely Jo, who would be teaching the class. 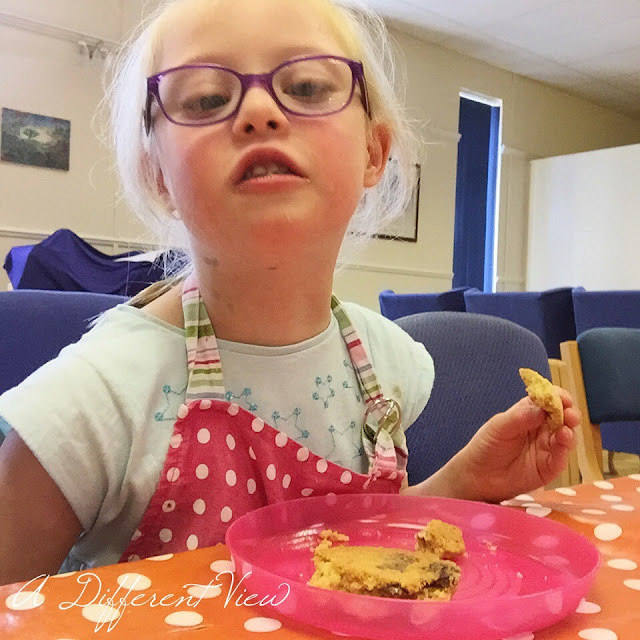 We soon discovered that we were making chocolate chip cookies - 'yummy delicious!' piped up Ella. 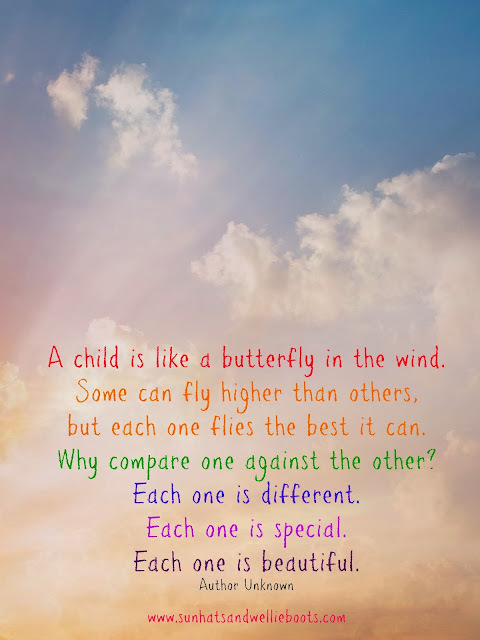 There were seven children in the class with Ella and another little girl who was also 5 being the eldest. 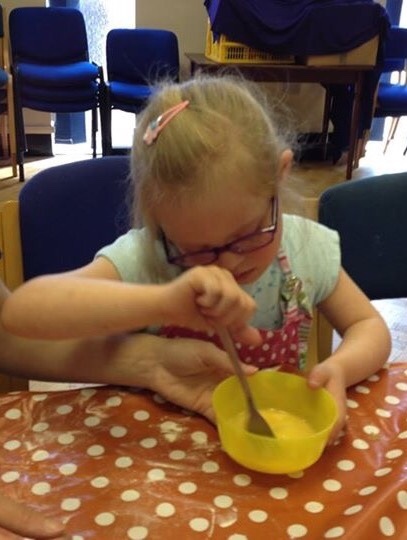 As most of the children were younger, that meant the pace was nice and gentle so Ella had no problem keeping up with what was happening and there was plenty of time to carry out each stage of the recipe. She's well practised in what to do anyway as baking is a favourite activity at home. The children had to share utensils and ingredients between them which allowed for some conversation, sharing and taking turns. They all enjoyed measuring, mixing, stirring, sieving, chopping the chocolate and getting their hands messy. We enjoyed it so much that we are going back for next weeks class. It's a shame it runs on a Friday as I could have taken Lucy during term time but she will be in nursery. There is a possibility of some Saturday classes starting and we can always go to the future half term sessions, with Lucy too. After they had made their dough, the children even enjoyed washing and drying the bowls and utensils. They helped to cleaned up whilst their cookies were in the oven (they cooked one each at the class to taste then got to take the rest of their dough away to bake at home). Once the tidying was complete, it was time for a well earned glass of juice and most importantly, a cookie! Wow, that year went fast. The once pristine book bag is now looking well used, the hem on her dresses are much shorter and I've been praying for a while now that the velcro on her scuffed and tattered shoes would make it to the end of term (it has...just). The summer holidays seem to have been a long time coming and this past week I've seen so many children and families already enjoying their time off. As we had a two week May half term break, we have finished later for summer and get a 5 week break instead of 6. I am sure the weeks will fly by (they will once I've planned lots of things to fill the days with them!). The children have had a more relaxed last week at school and yesterday, their penultimate day as the youngest year group in the school, they had a party day. They were allowed to wear their own party clothes, played party games and the day ended with all the parents coming in to see the children presented with their end of year certificates. We arrived to find the children all sat outside in the sun playing pass the parcel. After their game had finished we all piled into one of the classrooms for the certificates. It was very packed - they apparently haven't had so many parents attend before - some of us got the pleasure of sitting on the tiny plastic chairs and for others it was standing room only. 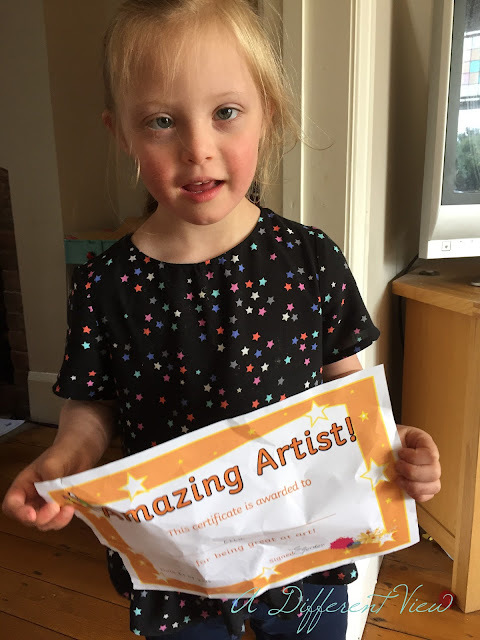 She was given a certificate for her lovely artwork and drawings - very appropriate as that is her most favourite thing to do and is something she has definitely improved in over the course of the year. 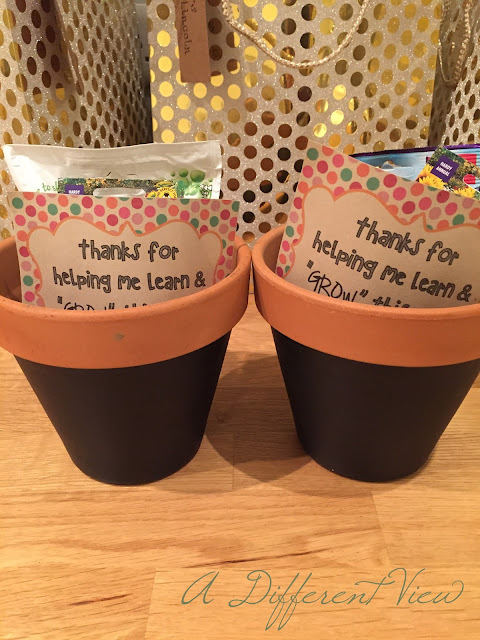 A lovely end of year gift from the teachers to each child - something for them to be proud of and take with them into year 1. And with the end of term, comes the giving of gifts from the class to the class teacher or, in our case, teachers. When there is more than one teacher to buy for (job share, long term supply, classroom assistant) or your child has had support from a Teaching Assistant (TA) or Learning Support Assistant (LSA) then it can very easily become a costly business. I started pondering this a while ago and trying to find a way to give meaningful and useful tokens of thanks without it becoming too expensive. For Ella, there were presents to buy for her class teacher - Mrs G, classroom assistant Mrs A, two TA's Mrs S & Miss P and Mrs L the SEN teacher. Six presents in total. Even with a budget of £5-£10 per present that would mean spending between £30-£60. I was also aware that Ella is only one child of 30 in the class. I knew from consulting a good friend and reception teacher that firstly no teacher expects anything and after that, there is only so many personalised mugs/keyrings they can find use for. 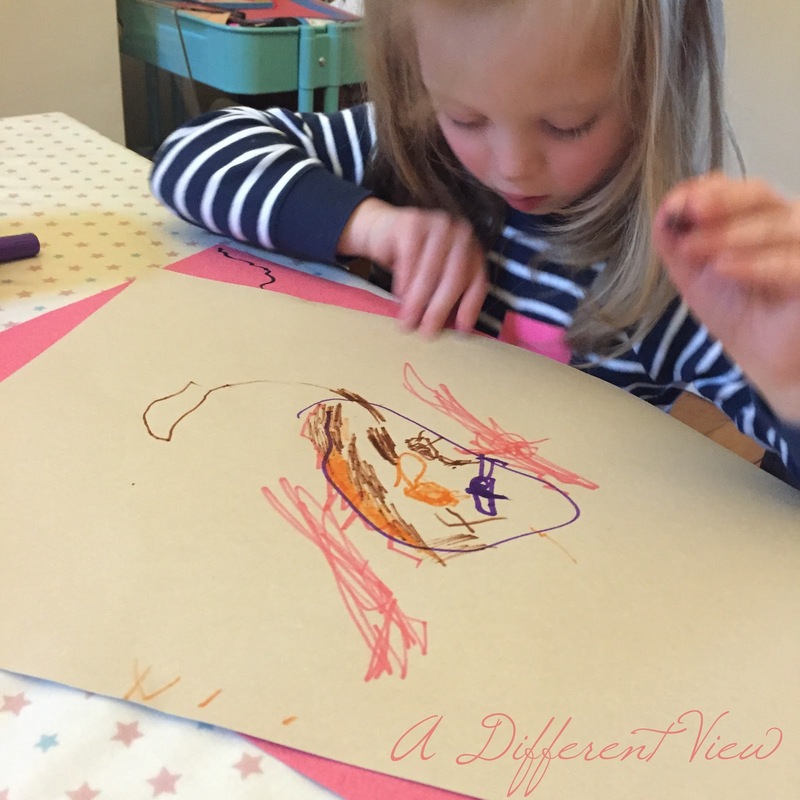 Her favourite gifts over the years have been 'as dull as it sounds' (her words!) wine, plant/flowers or book/coffee shop tokens. All good starting points. 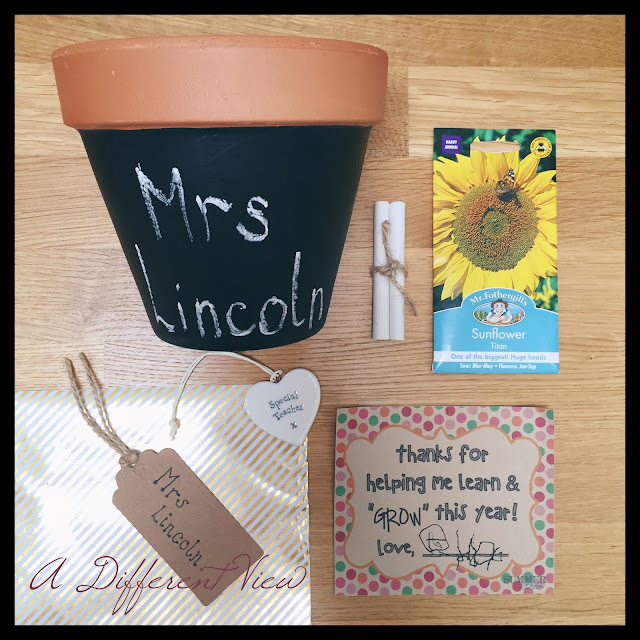 Thankfully one of the mums in each reception class started a collection for each class teacher so I gave some money to that for Mrs G. The collection has managed to provide a present for her, her classroom assistant plus a little gift for the TA's. 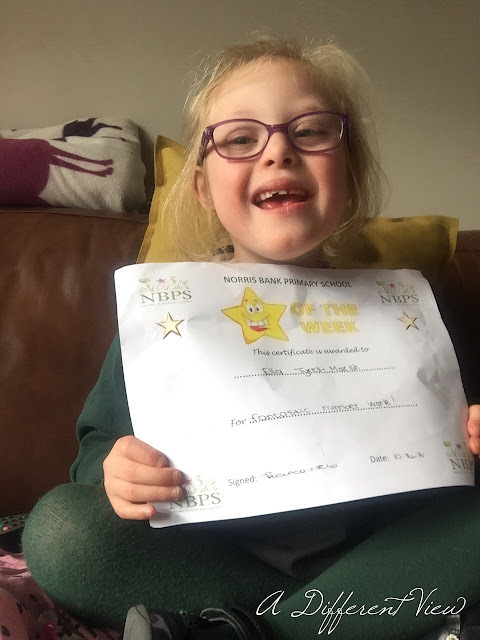 Mrs L is a Special Educational Needs Teacher who works with the reception teachers and provides support to the 7 children in the year who have additional needs. I thought a collection for her too would be well received and managed to collect a good amount from some of the other 6 parents. Following on with the plant/flower theme, I gave each child a printed flower template to colour in/write their name on/personalise and make their own for the card (unfortunately I sealed the card before I thought to take a picture but will hopefully be able to add a picture in soon). I also wanted to get a little something just from Ella for the 2 TA's who have worked so closely with her over the course of the year. I loved how well the plant pot had come out that I went and got 2 more and added in the seeds, chalk and bags of chocolate. Ella has written her name on the note for them. Theirs worked out at £4.70 per present. Can't argue with that. Hopefully they will like them and find them useful and meaningful gifts. Anticipation of her happiness and achievements, hope for the friends she would make and the things she would learn. And worry that she was slowly making her way into the big wide world, less protected by me, experiencing her day to day life on her own and learning where she fits in and belongs. I mostly and above all else, just wanted for her to be happy and settled in her new school. Everything else would just be a bonus. In the last couple of weeks, we've had her review meeting and her first sports day, shes met her new teacher and spent time in her new classroom. 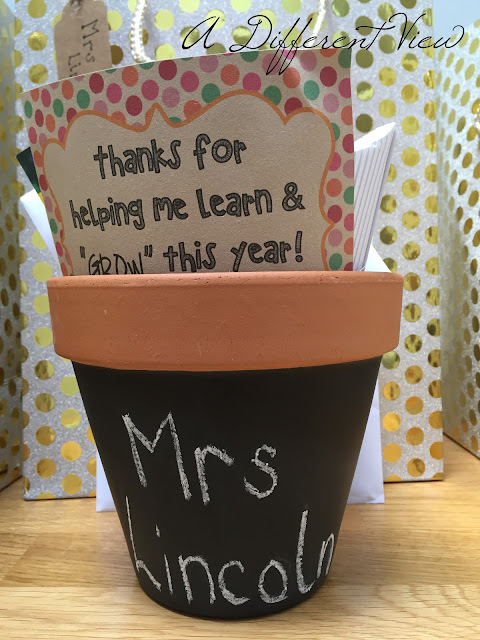 In the next couple of weeks we will be saying goodbye to some of the staff who have made her first year at school a happy one full of fun, friends, learning and achievements. At home time today, the children streamed out of school, each proudly carrying a large white envelope containing their first ever school report. I've had mixed feelings about getting her report. I knew it would be hard to see in black and white what Ella's current level of achievement is for each part of the curriculum. There are no ticks in the 'expected' or 'exceeding' columns, just a consistent 'emerging' throughout. And even though it's exactly what I was expecting, it's still difficult to have to accept that the gap between her and her peers is there, represented by the ticks on the page. 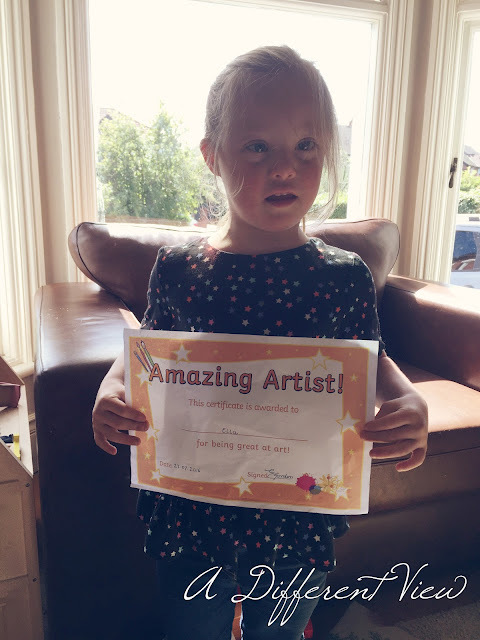 I know if there was a section on overcoming challenges, producing the most volume of art work or working harder than her peers to achieve similar outcomes she would 'exceed' in all of them. However, I am just as proud as any parent who opened their child's report this evening to find ticks in every 'exceeding' box. Ella has made huge leaps this year, in her speech, in making friends, in knowing her letters and phonics and in her understanding. Yes, her progress isn't at the same level as a typical 5 year old but that's all that matters - PROGRESS. No matter how big or small it may seem, she is still moving forward, learning and consolidating. She's loved her time in reception and I am just as excited about what she will achieve and the progress she will make in the next school year. For what it's worth, I do like the word 'emerging'. It promises that there is more to come, we haven't seen the best yet and to keep our expectations high. The growing, learning caterpillars are emerging into each individuals butterfly of potential. For some, being able to fly in each area of the curriculum comes easily but for others it takes them longer to get there. And there will always be moments like today when I am reminded that life for Ella is different and more challenging. And as a mum, it's hard to accept that. But from day one she has taught me that she will get there in her own way and in her own time. And as always, her achievements, no matter how small, mean the world.